“Last week Cinema Pub, L.L.C. d/b/a Brewvies sued the Department of Alcoholic Beverage Control (DABC) challenging a recent DABC notice of violation of Utah Code section 32B-1-504(7)(a) and (d),” said Daniel Burton, spokesman for the Office of the Attorney General. 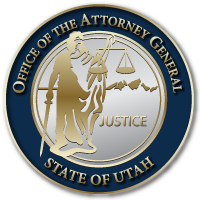 “In its capacity as legal counsel to all state agencies, the Office of the Attorney General will continue to support and defend DABC’s enforcement of the current law. This entry was posted in Archived Posts, Recent Posts and tagged Brewvies on June 20, 2018 .